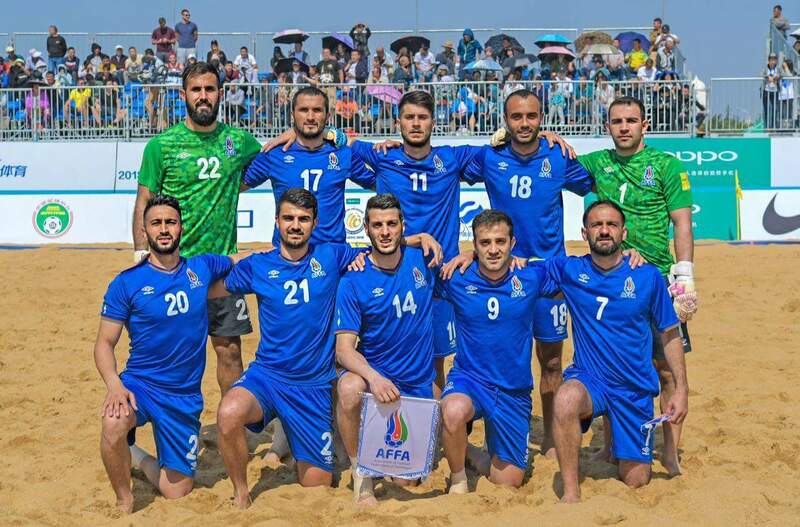 Azerbaijan Beach Soccer National Team will participate in the Euro Beach Soccer League tournament, which will be held in Moscow on July 18-23. On July 20, 21 and 22 respectively, he will face Russia, Switzerland and Poland. Here are the list of players invited to the squad: Vagif Shirinbayov, Elchin Gasimov, Comerd Bakhshaliyev, Ilkin Hajiyev, Amid Nazarov, Orkhan Mammadov, Asif Zeynalov, Ramil Aliyev, Huseyn Akhundov, Rufat Mammadov, Sabir Allahuliyev, Abdul Aliyev.